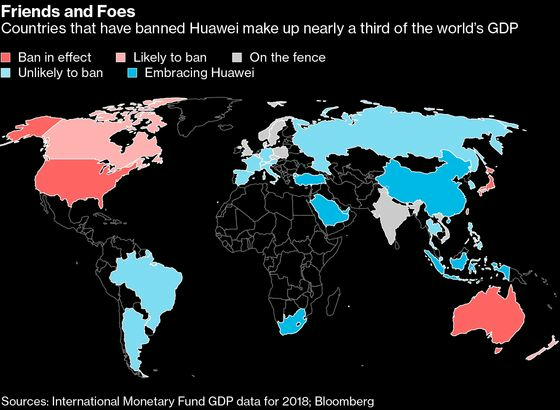 (Bloomberg) -- The Trump administration’s effort to convince allies to exclude Huawei Technologies Co. from wireless networks isn’t going entirely to plan. Countries accounting for more than 40 percent of the world’s gross domestic product are either embracing or appear unlikely to restrict Huawei. China’s President Xi Jinping is expected to lobby further against bans in talks this week with French President Emmanuel Macron and German Chancellor Angela Merkel.